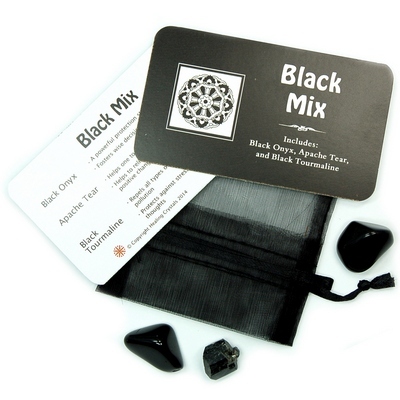 Tumbled Black Mix - 3 Piece Set in Pouch - This Tumbled Black Mix includes 3 black crystals placed in a black organza pouch with a beautifully designed reference card which details the properties for each stone. 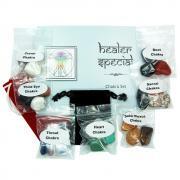 Each pouch contains 1 medium/large Tumbled Black Onyx, 1 medium/large tumbled Apache Tear and 1 small & thin Black Tourmaline Rod. 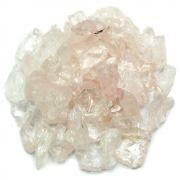 The vibration of these crystals is lovely and the polish is beautiful. 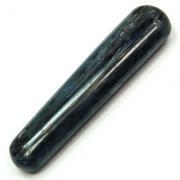 Black Onyx is a powerful protection stone that helps to foster wise decision-making. 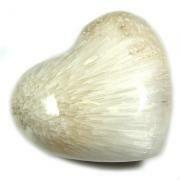 Apache Tears helps one to accept and release their grief. Also helps to relieve stress by bringing opportunities for positive change into sight. Black Tourmaline repels all types of negativity and electromagnetic pollution. It can protect against stress and minimize obsessive thoughts. Question: What is a source of strength for you during times of grief?